Price includes shipping via 1st Class Mail with tracking. Call 443-740-4240 or email Anderson@WildRoseAlpacas.com for shipping rates when ordering multiple items. 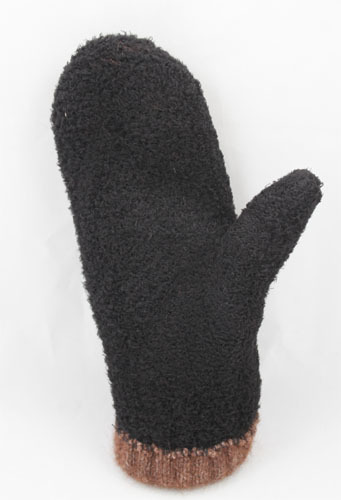 Maryland sales must add 6% sales tax per pair of mittens. It's like putting your hands into warm butter! Great for those cold days, whether sitting at an outdoor event, walking/running, or just staying warm. 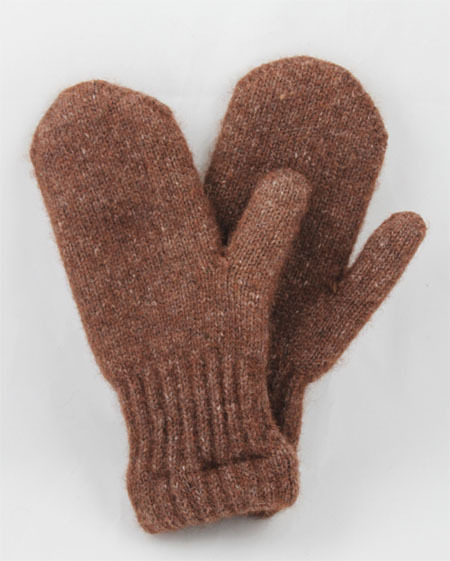 These mittens are made from alpaca fiber generously donated from our own local herd in Havre de Grace, MD. Great warmth, great comfort, and a stylish look that you will come to treasure whenever the temperature drops. Natural colors of fawn (tan), brown, and dark grey available. The acrylic boucle lining is black in color. See the photos of the mitten turned "inside out" to view the lining.